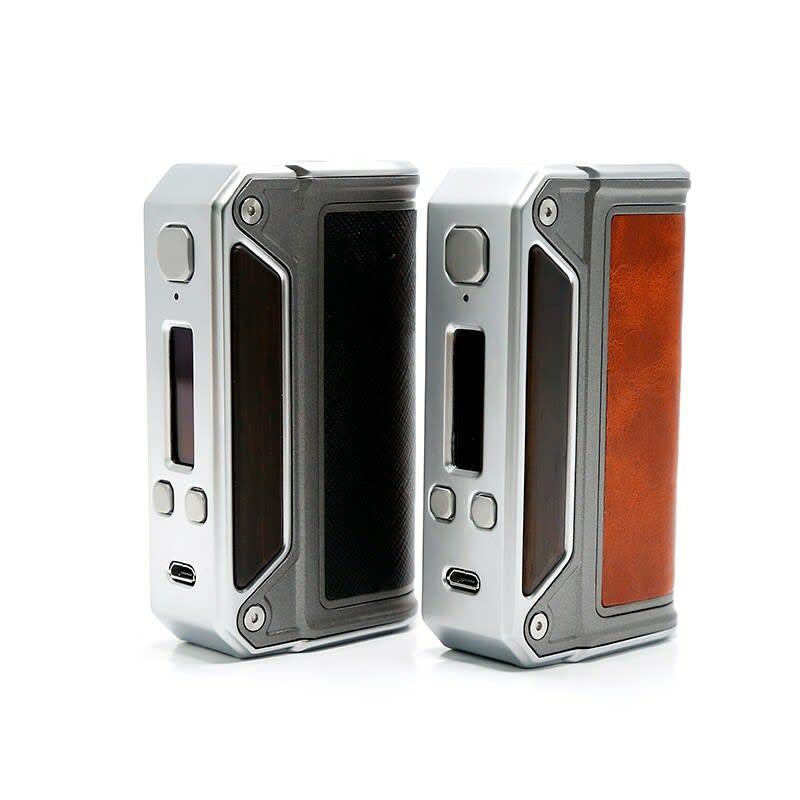 Sorry, Lost Vape Therion 75W Box Mod has been discontinued. 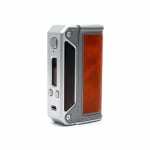 The Therion DNA75 TC box mod by Lost Vape is the a dual 18650 mod that uses Evolv's DNA75 chipset system. As aslways, Lost Vape combines a unique design that has amazing and durable construction. The device looks and feels incredible with an ergonomic genuine leather wrapped battery cover and real wood accent side panels. The Therion DNA75 TC box mod by Lost Vape is a dual 18650 mod that uses Evolv's DNA75 chipset system. As aslways, Lost Vape combines a unique design that has amazing and durable construction. The device looks incredible with an ergonomic genuine leather wrapped battery cover and real wood accent side panels. The wood finishes work well with the clean cut lines and the zinc alloy chassis. The box mod utilizes Evolv's popular DNA75 chipset which gives the mod the ability to be powered in several preset modes including power watt mode that reaches 75W, Ni200 mode, SS 316 mode and Titanium mode. The device is equipped with a stainless steel springloaded 510 connection that makes this mod perfect for a variety of tanks and styles. With style and performance in mind, the control panel is sleek with an LED indicator, a DNA menu with two adjustment buttons and the USB port for charging and upgrading firmware through ESCRIBE software. 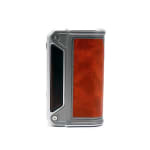 The mod is powered by two18650 external batteries that are installed parallel for maxium battery life. 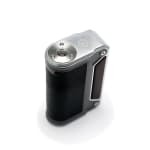 With these features, combined with 75W max power, allows for longer periods of vaping.